What is the actual definition of Church and Society? 1) The annual conference shall organize a board of church and society or other structure to provide for the functions of this ministry and maintain the connectional relationship between the General Board of Church and Society and the conference, district, and local church, as well as for for church and society responsibilities related to the objectives and scope of work of the General Board of Church and Society as set forth in ¶¶1002-1004. 2) The conference board of church and society or equivalent structure shall be composed of those persons as determined by the annual conference, including, by virtue of their offices, the mission coordinator for social action of the Conference United Methodist Women and members of the General Board of Church and Society from the annual conference shall serve within limits set by ¶¶ 609.6 and 710.5. The conference board of church and society or equivalent structure shall also name a conference Peace with Justice Coordinator who will be responsible for administering the conference Peace with Justice Special Sunday Offering receipts and for coordinating peace and justice ministries. 3) The conference board, in cooperation with the General Board of Church and Society and the annual conference council on ministries, shall develop and promote programs on church and society within the bounds of the conference that include prison ministry and reform concerns. To this end, it may divide its membership into committees of approximately equal size patterned after the organization of the General Board of Church and Society. Committees of the board shall have responsibility to cooperate with one another to advance the respective and mutual concerns of their respective areas in social education, service, witness and action. 4) The conference board of church and society shall serve to connect the General Board of Church and Society and the district and local churches in relating the gospel of Jesus Christ to members of the Church and to the persons and the structures of the communities, nation, and world in which they live. Programs shall be developed that provide education and action on issues confronting the Church consistent with the Social Principles and the policies adopted by the General Conference. The Environmental Coalition is a task force of the Oklahoma Conference of The United Methodist Church, which reports to the Board of Church and Society. This group was created to address the seriously falling standards of earth stewardship that our state, nation, and world have experienced over the past few decades. The Coalition seeks to make congregations of the Oklahoma Annual Conference aware of ways and means to increase personal and corporate stewardship of the Earth's resources, to reduce energy usage and costs, and to reduce the use of harmful materials and wasteful activity. Both a biblical and a UM understanding of what it means to be environmentally conscious are used in this coalition's affairs. The Immigration Task Force is a group under the Conference Board of Church and Society. This task force seeks to address the issues of the church and the state in relation to matters of immigration. Today, issues of immigration, rights and privileges of immigrants, illegal immigration, and issues regarding the detaining of illegal immigrants are of continued concern. Also, issues of immigrants fitting peaceably into their communities while maintaining their heritage and culture is very important to this task force. 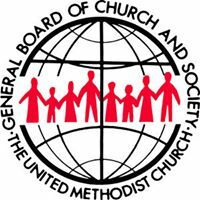 The Church and Society Board cannot address all issues of justice alone, and this task force, seeks to bring the message of the United Methodist Church and its people to the table on matters of immigration in Oklahoma and beyond. The Peace with Justice Task Force is a group under the Conference Board of Church and Society. The group seeks to target issues of social, environmental, political, and restorative justice and provide opportunities to the Oklahoma Annual Conference to learn more and discover ways to bring the peace of Jesus Christ to these issues of justice. The Church and Society board cannot handle every justice issue alone, and the Peace with Justice Task Force is here to provide information, host retreats, lectures and conferences, and to promote peaceful solutions to some of today's social problems through an attitude of justice for all persons.